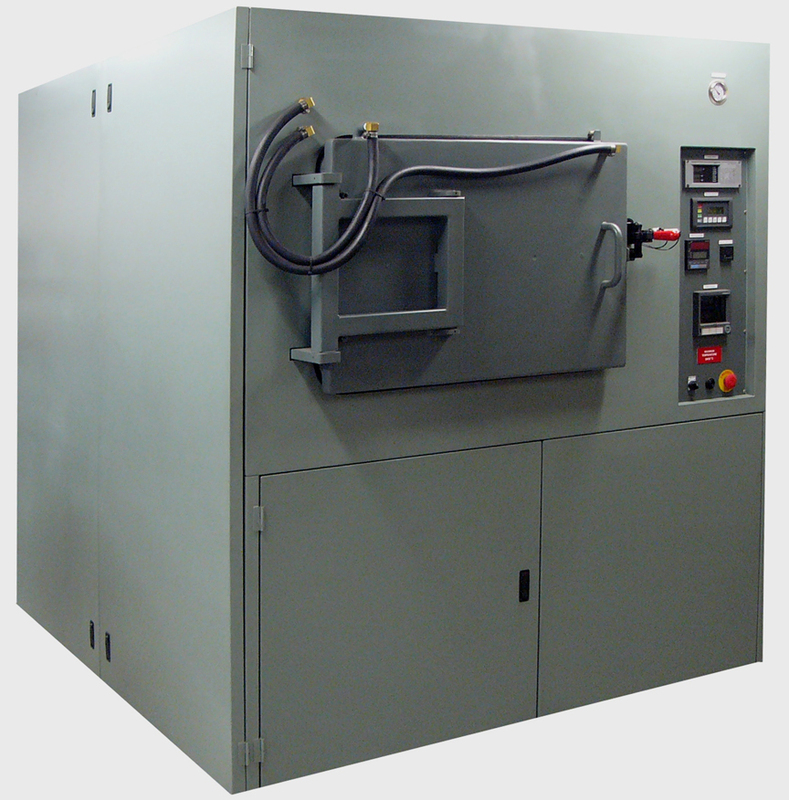 This entire unit is a totally enclosed, packaged, and assembled unit that is shipped as one piece, requiring only the water, gas, and power to be connected to the appropriate locations. Digital programmable temperature controller to work in conjunction with an optical pyrometer. The unit will use a retractable thermocouple to provide low temperature control, with automatic switchover to optical pyrometer at high temperatures. Graphite hot zone and heating elements. Four-sided heating for optimum temperature uniformity. Complete documentation, including electrical schematics, operating sequence, and manuals. Includes one day of test fire and training at our facility in Terryville, Connecticut, USA. Remote diagnostics via a modem, enabling us to remotely aid in diagnostic troubleshooting the furnace and guide your maintenance people directly. This is virtually the same as having one of our service technicians standing in front of the furnace, providing immediate, real time support. This should virtually eliminate the need for field service. Yokogawa paperless datalogging chart recorder with digital communications. Network compatible – can appear as a node on a network, making remote data gathering fast and easy. Includes built-in floppy disk drive for storage.